Writing a memo like this while you're online is quick and easy. 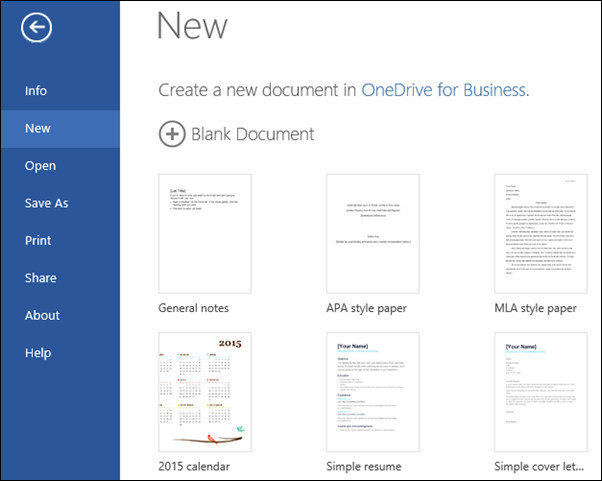 Choose one of our memo templates, and open it in Word Online to make it yours. 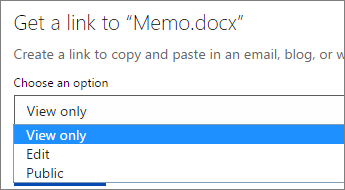 Tip: If you're already in Word Online, get to the memo templates by going to File > New, and then below the template images click More on Office.com. You'll be on the Templates for Word page. In the list of categories, click Memos. As you work on the memo, you'll probably want to rename it. When you're finished, print it or send it out electronically. You can do this with the memo still open in Word Online. No need to save it first (that's already done for you). To print it, press Ctrl+P, and wait for the Print dialog. 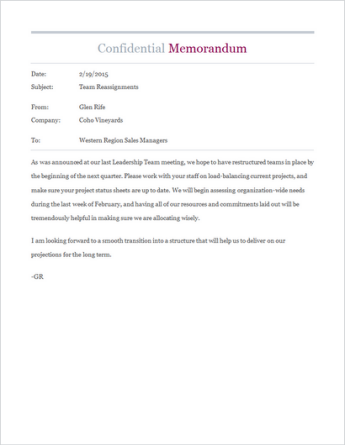 Note: If you don't see a Print dialog box, click the link for opening a PDF version of your memo. From there, use the PDF program's Print command. Near the top of the screen, click Share. Under Share, click Get a Link. Under Choose an option, click View only. Click on the web address to select it, and then copy and paste it into an email, message, or post.